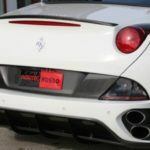 Have you ever thought “My 460 horsepower Ferrari just isn’t quick enough. You know what it needs…over 600 hp. That’s the ticket.” If so, you’re in luck. 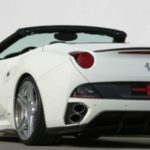 Novitec Rosso, the gods of Ferrari tuning, just developed a supercharger kit for the new Ferrari California. 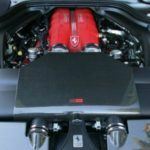 It’s no simple power bump either – the 4.3-liter front-mounted V8 in the California jumps from a solid 460 hp – more than enough for most – to a whiplash-inducing 606 hp. Torque grows from 485 Nm to 603 Nm too, which means you’ll be burning through some serious rubber if you’re not careful. 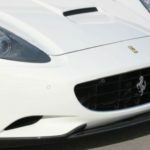 In addition to the supercharger, Novitec added a water-to-air intercooler, a custom intake manifold, larger injectors, a custom Novitec Rosso stainless steel exhaust system with a tunable exhaust note (a switch on the steering wheel basically serves as a volume control,) and the ECU has been tuned to deal with the extra power. 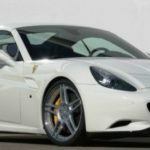 A custom suspension lowers to ride height by 35mm and adds a hydraulic lift system to raise the front-end with the push of a button so you don’t scrape curbs and speed bumps. 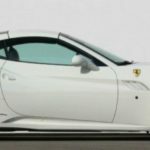 Concerning appearances, custom Novitec 21- and 22-inch wheels are added, along with a subtle carbon fiber body kit adding some aerodynamic benefit and making it a bit more aggressive. So, what does an extra 146 horsepower and 118 Nm of torque do for performance? 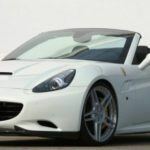 Novitec claims the tuned Ferrari California can reach zero to 62 mph in only 3.8 seconds with a top speed of 202 mph. Not sure if you’d want to do that with the top down, of course. Pricing, as usual, isn’t included in the press release. I say it’s a “if you have to ask you can’t afford it” type of deal. Here’s the thing about this kit. 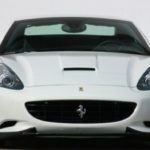 I drove the Ferrari California not long ago (check out the 2010 Ferrari California Review) and it’s an immensely capable car, but I think the folks who are going to buy a front-engine V8 grand touring car like this aren’t going to be looking for a hard-edged supercar. If they were, they’d go with the similarly-priced F430 – I sure as hell would. 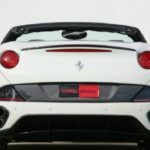 Ferrari California buyers want to cruise around the beach with the top down, whereas F430 buyers want to do exactly what this kit changes the California to do. If it were me, I’d take an F430 and slap a supercharger on it long before I’d do it to the California. 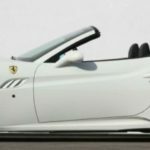 No Comments on "Novitec Rosso Slaps a Supercharger on the Ferrari California"